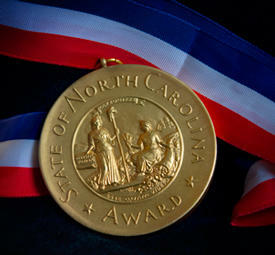 In 1961, the General Assembly established the North Carolina Awards, the highest civilian honor in the state. Since its inception, more than 250 notable men and women have been honored by the state of North Carolina. The Department of Cultural Resources is looking for nominations for this year’s awards. Today, Mac McKee speaks with web content manager Jeff Miles.